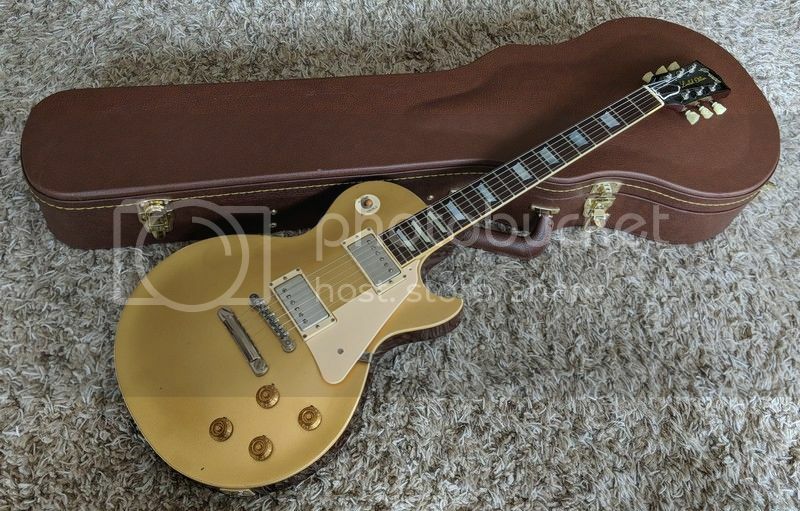 I believe this to be a Limited Edition because Greco did not make a production run high end Goldtop with humbuckers in 1980, only a Goldtop with P-90's. 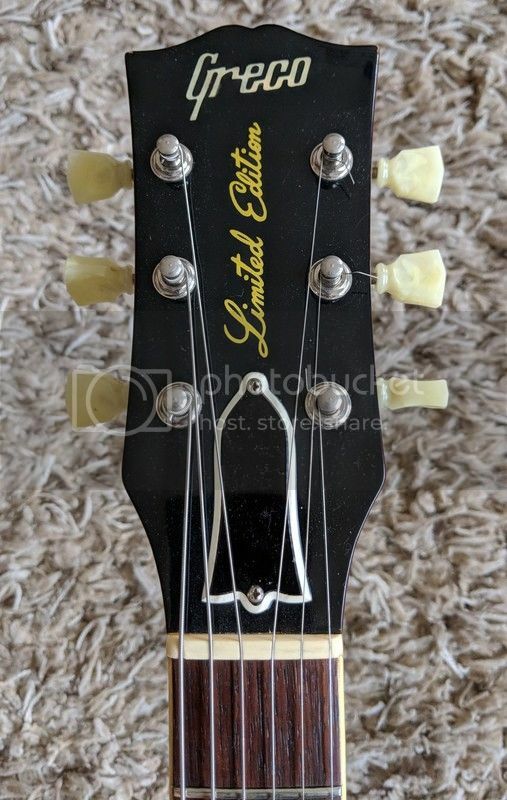 The P-90 version is listed in the catalog as an EG-800 and has Super Real on the headstock. This guitar features all the exact same specs except for the pickups which are original Greco humbuckers. This is what seems to make this a Limited Edition. The pickups are double cream. I have aged covers that I will include as well. You can choose if you want it with or without the covers. This guitar plays and sounds fantastic and is super light at only 8.4lbs! Features fret edge binding. The frets have some wear as can be seen in the pic but she still plays well and she doesn't have fret buzz. 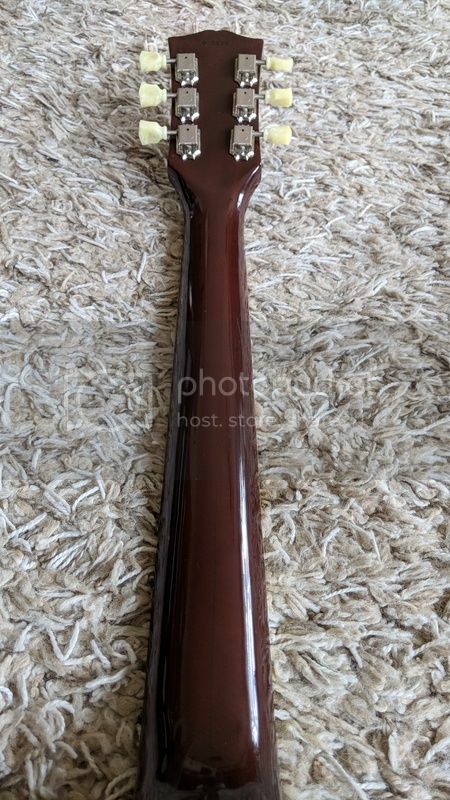 Fretboard - Rosewood - not sure of type. Some say it's Brazilian but I don't know. Case - Brown and pink Lifton clone hardshell case. 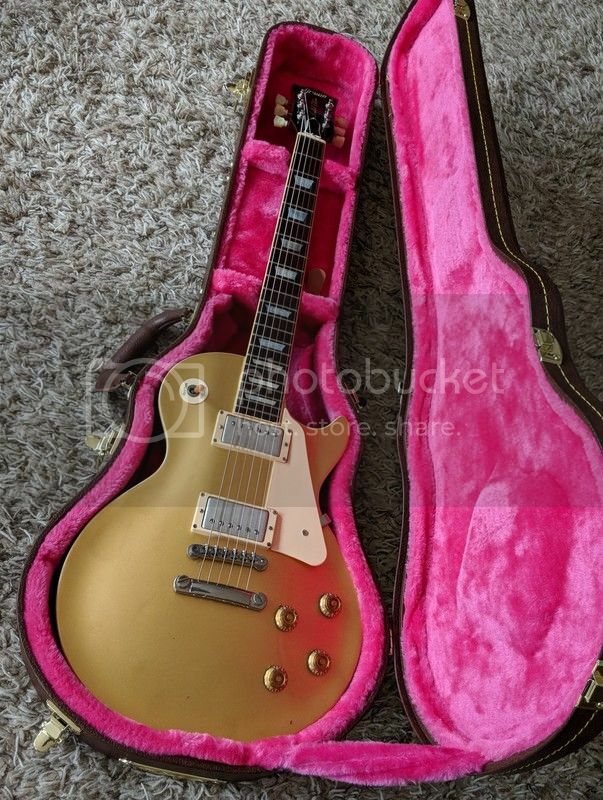 If you want a cheaper price, I have a Les Paul shaped Brown hardshell case with black interior I could ship her in. The guitar has never had a pickguard attached, she has no holes yet. 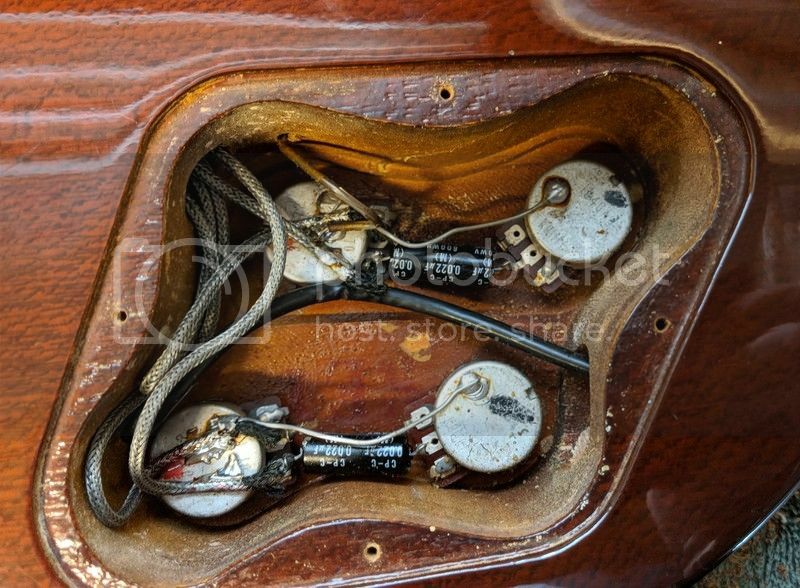 I will include the pictures pickguard and the screws to install it. limited edition was a run of guitars just before super real started, essentially they are the same...lovely guitars. Interesting Villager. Didn't Super Reals start in 79? This is an 80. 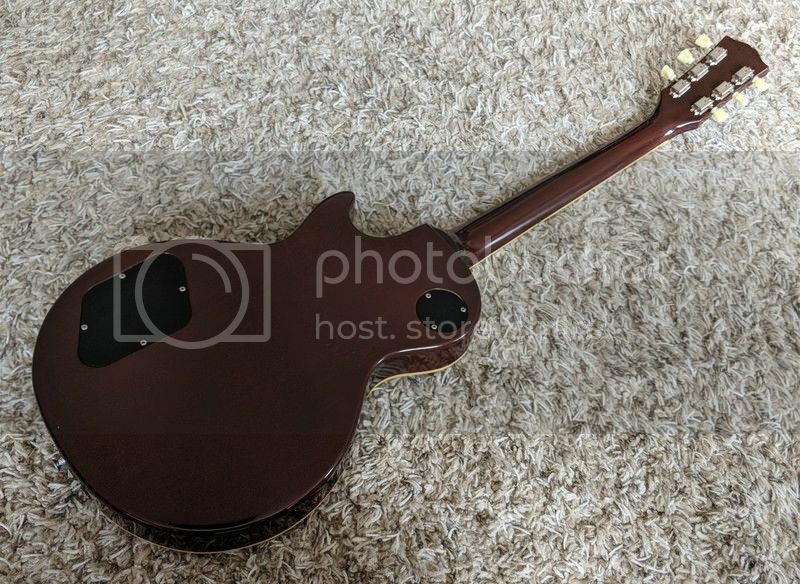 Nice guitar. That looks like a Gator case. 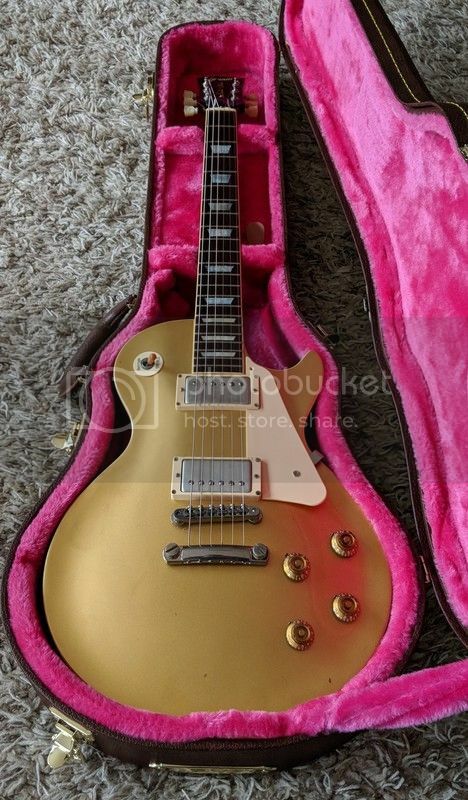 This is the one with the pink flip cover you put over the guitar then close the case right? I have 2 of those cases right now. The flip cover is starting to bug me. It looks like you cut the cover off. I keep thinking about doing that with my cases but have not done it yet. Does it work better since you cut the cover off? Yes i did cut the cover off. It was super annoying. They did have an EG-700 in gold at that time. 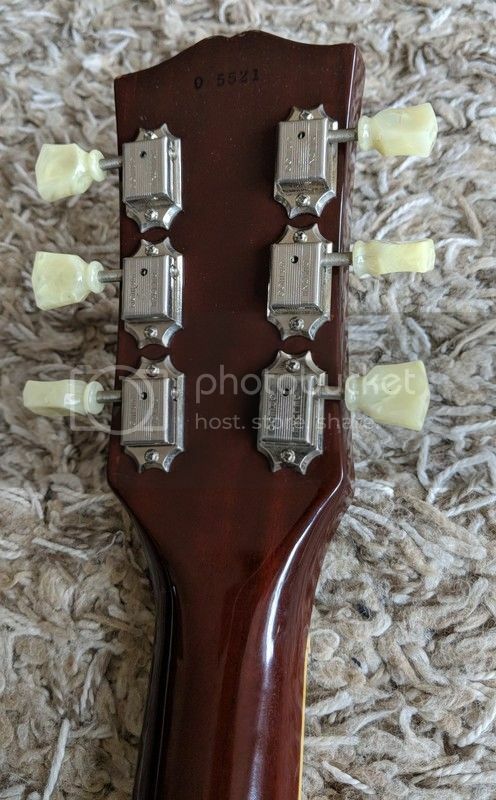 Are those pickups stamped PU-2? Those are great pickups. 1980 officially for super reals, but i have seen the occasional 79, and there was some crossover period between the 2, but limited editions did not last long and there are a lot less of them around than super reals.. When I purchased the guitar from a dealer in Tokyo, he told me they were PU-2 but now that I look at them I don't see the PU-2 stamp. Just the numbers 200212.
one of my PU-2 sets are both double white, bases are embossed with PU-2 centered in the base, and they also have the A stamped in upper case w/black ink. 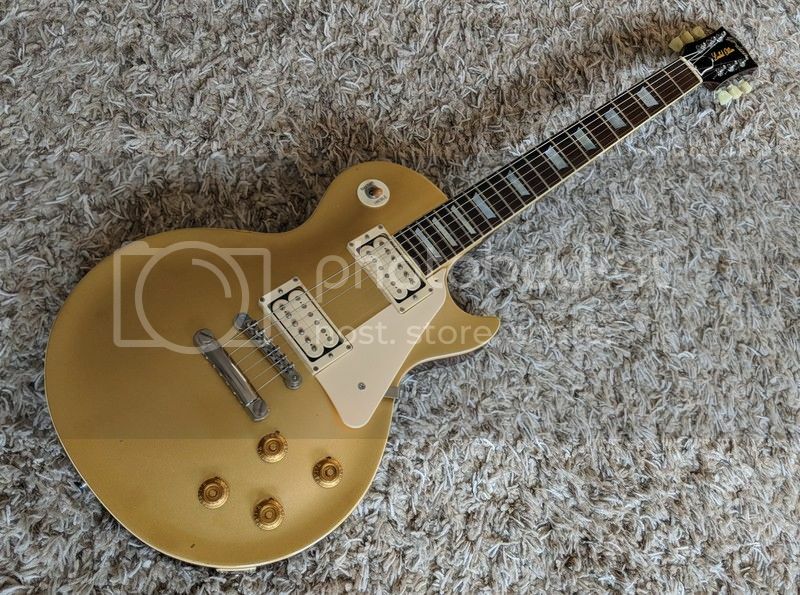 No matter what pickups that Greco goldie has I know it has to be a great guitar as I have owned a few 1980 & 1982 Greco goldies.